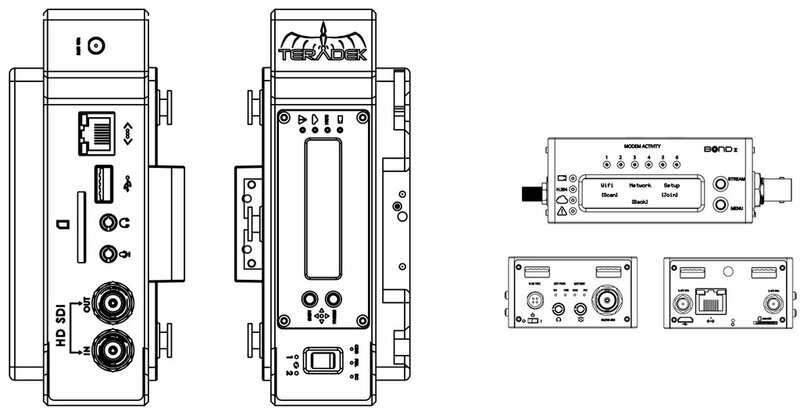 The Teradek Bond line of cellular bonding solutions allows you to transmit 1080p HD video over aggregated bandwidth from several network interfaces, including 3G/4G/LTE, WiFi, BGAN, and Ethernet. Bond devices utilize hardware-based high profile H.264 compression, resulting in very low power consumption and long run times. 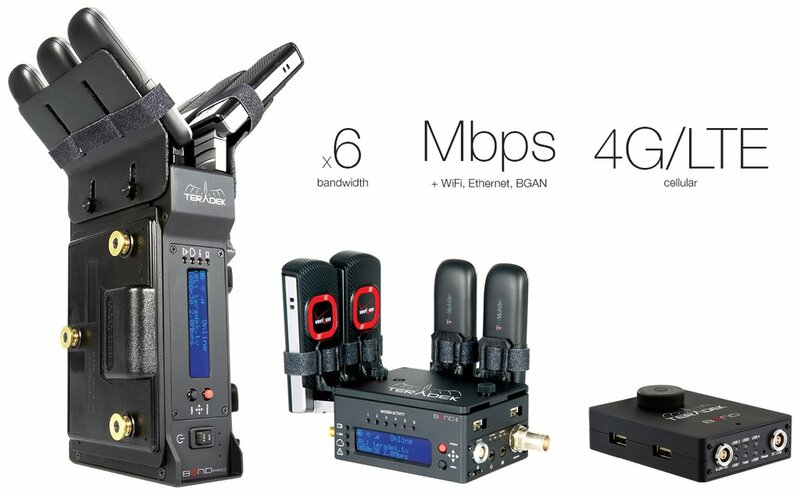 Each bonding solution offers a local monitoring capability on iOS devices and IFB for communication from the studio to the field. Built to withstand the toughest newsgathering and live production environments, the Bond series of cellmuxes are crafted out of hardened aluminum and include professional Lemo connectors for power. Each model supports up to 6 simultaneous network connections via USB and come in either HDMI or HD-SDI configurations. All Bond models can aggregate bandwidth from USB modems, WiFi, ethernet, and BGAN and support the RTMP, RTSP, and MPEG-TS protocols. Bond can stream to any online video platform and includes native integration with Facebook Live, YouTube Live, Ustream, Livestream, and Twitch.tv, offering a quick and seamless streaming experience. Adaptive internet streaming technology constantly monitors the network conditions and cleverly adjusts the bit rate and buffering speed to provide an un-interrupted link for real-time broadcasts. Live streaming to the web or the control room is carried out via multiple paths over 3G or 4G networks. 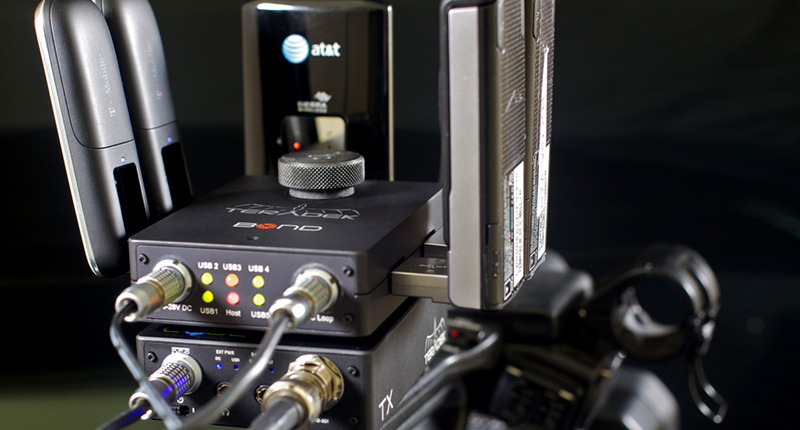 News stations, production companies, government agencies, and post-production facilities use Bond products to broadcast live HD video from anywhere in the world to their unique destinations. To monitor the incoming live feeds, the Core management platform provides an intuitive user interface for real-time observation of live broadcasts, allowing clients, staff, and other off-site parties to keep an eye on the footage from any location. *Each .MP4 file listed above would be optimized differently for each device. For example, the .MP4 file generated for Vimeo would be different than the .MP4 optimzed for the iPhone. We can digitize your media into your choice of numerous digital formats, both uncompressed and optimized for streaming. You decide what formats you need and we do the rest. Contact us today to discuss your particular needs with one of our specialists. Copyright 2019 Digitizing World, a SuperGroup Company. All Rights Reserved. Site built by Design215 Inc.